Hello guys,If you are searching best funny and prank app 2019 than you are at right place,In this article I explained,Latest and most useful with great performance app for fun and prank with relatives,friends and many others. Sms Blast : Blast your sms from your phone using your network provider. Sms charges is cutting from main balance Or as per sms pack Given by network provider. 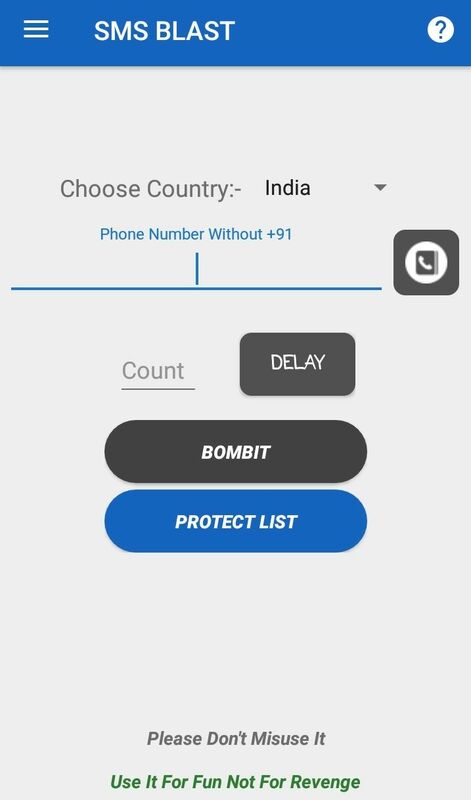 SMS blast is an app which allows you to send multiple sms to your friends on one click.Select contact number,fill number of sms,set the delay time and click on send,it will be automatically send the sms to the selected number when you are busy. 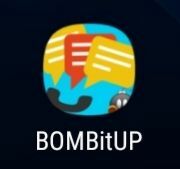 Bombit Up or sms blast is top in ranking and very popular among the users. Quick responsible and great performance. Don't need any account to login. You simply login by giving only one permission require by bombit up. Only three options for use it,fill up mobile number which whom do you want to send multiple sms at one time.Secondly fill number of counts do you want send.And finally click on "Bombit Up". You can also change or select delay the delivered time of multiple sms. Maximum 200 sms you can send at one time to one mobile number. Most of important features of this is that your mobile number will not show to the victim.You identity will be hidden.Victim can't be judge who is prank with him. Victim totally puzzle and confuse with this suddenly bomb blasting in his message inbox. Now tease your friends and enjoy fun. Below you will find Download button,click on it,the app will be download in your Google drive.From your Drive please download in your android mobile and install it.Now you can enjoy the great features of the app. Final Words-In my eyes,this is one of the best and most useful app for multiple app,you must try it once.If you have any doubts or query,please comment.It is our pleasure to serve you.